The literary epic and critical theories about the epic tradition are traced from Aristotle and Callimachus through Apollonius, Virgil, and their successors such as Chaucer and Milton to Eisenstein, Tolstoy, and Thomas Mann. 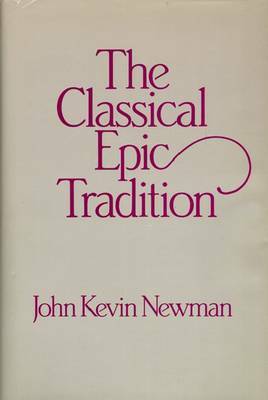 Newman's revisionist critique will challenge all scholars, students, and general readers of the classics, comparative literature, and western literary traditions. "A massive book of great learning that sweeps over a great deal of Western literary epic tradition." "Choice""
"This is a valuable study which will have to be taken into account by all who deal with the topics and authors treated. . . . The argument is thought-provoking." "The Classical World""